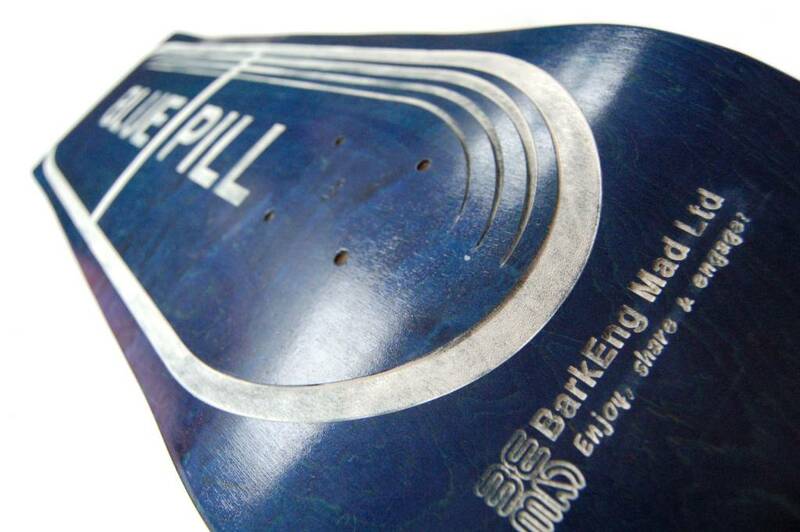 Inspired by the Blue Pill & Red Pill scene from the film Matrix, I created this concept deck with blank blue stained skateboard deck and red griptape. After laser engraving the design, I applied some brilliant white matt emulsion with a paint brush. The white paint took easily to the engraved design and wiped off where the lacquer still remained. When the time is right I will further investigate the best paints and application methods to use. 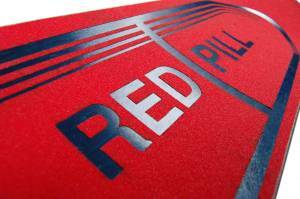 To complete the concept skateboard deck I designed, laser cut and applied this red pill griptape.